When deciding which levers to operate, a recent survey of spending priorities for marketing leaders suggests that four of their top 20 relate directly to content. You can make that five if you include their highest priority, customer engagement, which by definition incorporates valued, two-way communication, such as delivered by an effective content marketing programme. 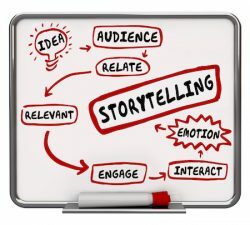 The four: storytelling, content marketing, content strategy and content creation are clearly seen as both an opportunity and a challenge. Businesses in the b2b space particularly, have embraced content marketing as an effective way of engaging with customers and prospects on topics that are both interesting and relevant for them, in order to build credibility, develop relationships and nurture revenue pipelines. There are many hurdles and one has to assume that it is these that are perplexing the marketing leaders surveyed. The first challenge is in integrating each of the topics above into a coherent, repeatable process that delivers actionable data and then measurable results. One of the first strategic questions is whether you have the resource and capability to deliver such as programme in-house or whether you need outside help from a partner. Don’t be tempted think that it can be done properly as an add-on role for someone in your team. Nine times out of ten it needs the commitment of a dedicated resource. Then, as the slogan says, just do it! Start producing and collating a content library. It is wise to ensure you have a sensible repository of content before you start distributing widely otherwise you can be forever playing catch-up. Perhaps you want to start small and build rather than taking a big bang approach. The advent of marketing technologies to enable communication and collaboration, from social media to marketing automation and predictive analytics, are a double-edged sword, offering an engagement nirvana and a host of new obstacles at the same time. Perhaps they just add more options and confusion into the melting pot. The trick is not to get distracted by the promises of what marketing technology can deliver but instead to focus on the basics. Develop a strategy, and implement a consistent content creation process. Deliver through multiple, measured channels to your target audiences. Review and repeat. At SQN, we deliver this integrated process with our Content and Conversation solution that is focused on helping clients maximise the opportunity offered by content marketing while minimising the challenges.